Today is International Women’s Day 2018, and all around the globe people are showcasing and celebrating the achievements of women. Here at Manifold we’re fortunate to work with some amazing women across all facets of our company, so we’d like to take a chance to turn the spotlight on them. Karen is one of our frontend engineers, contributor to our homepage, dashboard and many other micro sites. She works out of our office in Halifax, NS, and is actually our longest-serving female engineer. The first thing you see when you visit the Manifold Dashboard is the Discover page: and that’s all thanks for Karen. 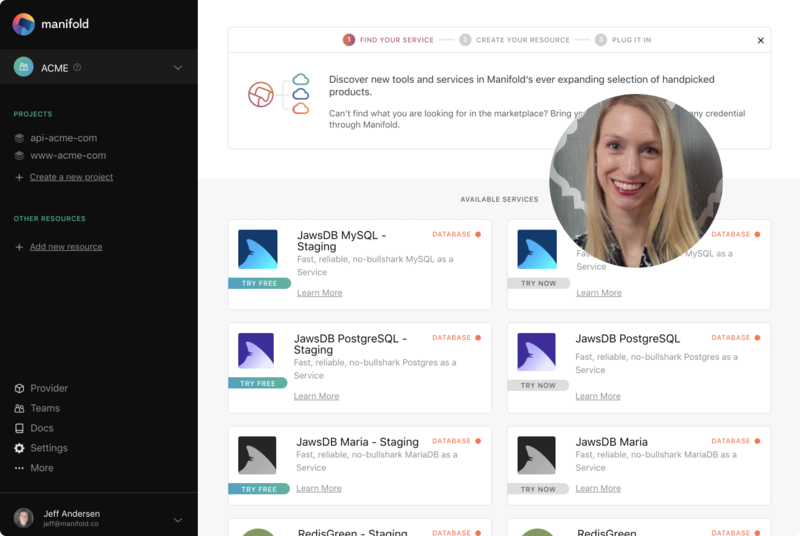 It’s where you can find new services from our ever-expanding catalog to provision, and she’s constantly adding more features, such as filtering by category, to improve the experience. Let’s take a look at the Manifold Discover page. Nicole is another one of our frontend engineers, and powerhouse contributor to the Manifold Dashboard. 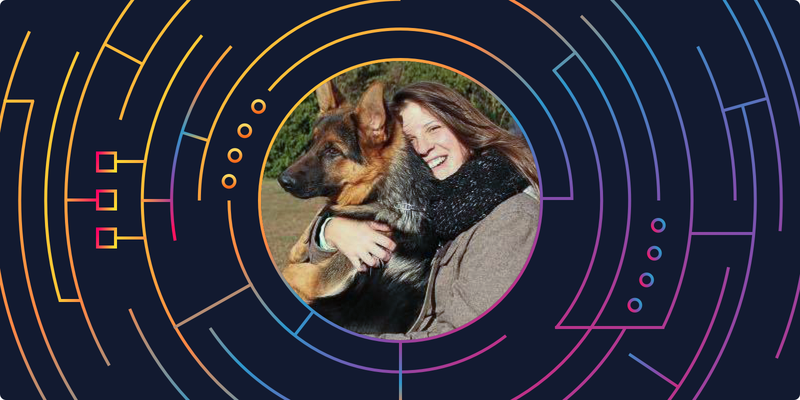 She hails from Long Island, New York, and has an adorable dog named Ursa who makes frequent appearances during our team video chats. Nicole has been championing our frontend testing efforts on the engineering team, and is constantly learning. She has recently started to learn the basics of Golang (which is our primary server-side programming language)! We have a series of blog posts whenever someone joins the company called Manfiold Add, where each employee shares some information about themselves and chooses an organization to make a $200 donation to. Margaret is our marketing programs manager. She works out of our Halifax, NS office and everything you see in terms of advertising, content, newsletters, and social happens because of her. It’s not an easy task to get a development-focused team to start writing, but Margaret has done just that. The constant influx of content to this blog is directly a result of her inspiring the team and coaching them along the way (as well as maintaining a program of outside contributors). Let’s turn it around and take a look at one she wrote for our blog: Startup Culture Doesn’t Have to be Empty. Meg is part of our amazing design team. She works out of Hamilton, ON and is very likely the best artist of any of our employees (Exhibit A). It would be easy to acknowledge all of Meg’s visual work: interface, illustration, collateral (she’s amazing, and she created the featured image for this post!) but she doesn’t stop there. Meg is a consistent contributor as a frontend engineer (recently implementing our new homepage, with Karen) and drives a lot of thinking around how users will interact with our product to improve UX. Ming is the fearless leader for the Manifold Dashboard. She spearheads our user testing program — constantly testing new and current workflows looking for optimizations and inconsistencies, as well as speaking with users about their experiences so that we can make our product better to use each and every day. Sitara is also a member of our product team, and consistent contributor to our blog. She works out of our San Francisco office. When Sitara first joined she took on a crazy ambitious challenge. As she herself was not a developer, she wanted to better understand the people and technologies we are targeting. To do this she set out to learn how to implement a GraphQL API, and even more impressive: she blogged the entire process. 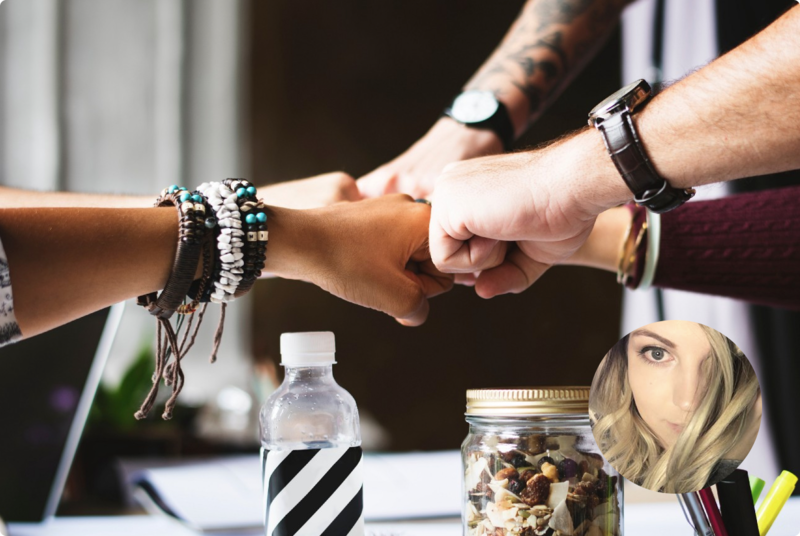 I want to say Thank You to all of the amazing women that make our team great, and encourage those reading this post to also showcase the stories of your own team.